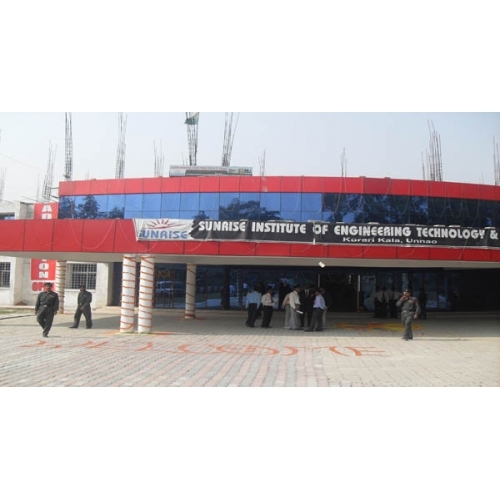 “Sunrise Institute of Engineering, Technology & Management”, at Unnao (Uttar Pradesh) but also to fulfill the need of globalized, industrialized and liberized economy all over the world by producing well qualified and dedicated technocrats from their institutions. “Sunrise Institute of Engineering, Technology & Management”, at Unnao (Uttar Pradesh) but also to fulfill the need of globalized, industrialized and liberized economy all over the world by producing well qualified and dedicated technocrats from their institutions. As everyone is aware, that India is playing a vital role in the digital global economy fuelled by IT. Taking a strong note of this, the institute, first of its kind in Uttar Pradesh, combining both IT and management is established by Laxmi Narain Charitable Society as an apex autonomous institute to cater to the growing needs of the IT . Central library: Libraries are backbone of any civilized society and heart of any academic institution. SUNRISE Institute of Engineering, Technology& Management is having the facility of central library for all its students. It is a central place for academic and research activities. The library has a well equipped conference hall with the seating capacity of 50 for academic discussions and reading rooms for 100 users The library is open to access and user friendly reading space with approximately 6000 titles of books, including national and international journals covering all aspects of technical studies , with a separate section for audio and video CD’s. The syndicate rooms provide the right setting to the students for important brain storming sessions. Our well stocked e-library contains books, journals, encyclopedias and magazines. The library services at SUNRISE Institute of Engineering, Technology& Management are provided to students, staff & faculty members for updating their knowledge and supporting the research and teaching / learning activities.